In this ancient place, where the borders between the living and the long-dead are thin, Ned and his family are about to be drawn into a haunted story, as mythic figures from conflicts of long ago erupt into the present, changing—and claiming—lives. Guy Gavriel Kay is the international bestselling author of numerous fantasy novels including The Fionavar Tapestry trilogy, Tigana, The Last Light of the Sun, Under Heaven, River of Stars, and Children of Earth and Sky. 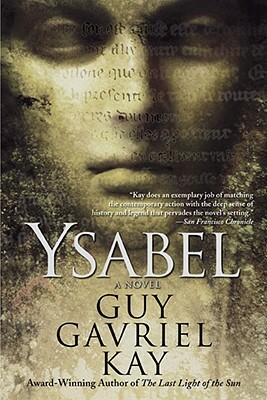 He has been awarded the International Goliardos Prize for his work in the literature of the fantastic, and won the World Fantasy Award for Ysabel in 2008. In 2014 he was named to the Order of Canada, the country’s highest civilian honor. His works have been translated into more than twenty-five languages.